AC/DC High voltage probe is useful for measurement of High Voltage of transformers and HV generated by High Voltage Testers etc. We are the Exporter and the supplier of the Decade Capacitance Box. We are the manufacturer and the supplier of the Decade Inductance Box. (Accuracies specified at 25 deg C, RH <70% , basic accuracy ±10 digits for DC parameters basic accuracy ±15 digits for AC parameters. (Accuracies specified at 25 deg C, RH < 70 %, basic accuracy ±20 digits for DC parameters basic accuracy ±25 digits for AC parameters. We are the Exporter and the supplier of the Precision Decade Resistance Box. Customers are availed this value for money range of best quality mV/mA/RTD Calibrator/Universal Calibrator (Battery Operated) that can be operated in the most easiest manners and is capable of doing power relevant works. This range has been fabricated keeping in mind the importance of industrial standards. Further, his range can be availed from us in the most comprehensive prices. Our company offers to our client's high-quality range of mV/mA/RTD Calibrator Mains Operated. These Dry Block Temperature Calibrators are widely appreciated by our clients which are situated all round the nation. 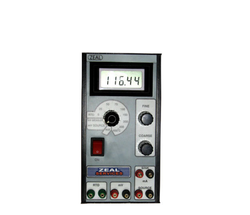 These Calibrator are highly in demand and are provided to our satisfied customers at cost effective prices. Mode 1 Phase, Auxiliary power supply AC/DC. 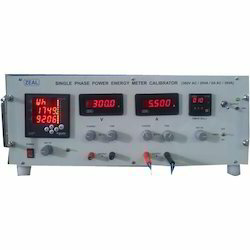 We are the manufacturer and the supplier of theSingle Phase Power Meter Calibrator /Wattmeter Calibrator. Protections: Overload and Short circuit, overload protection for all output by fast acting relay. 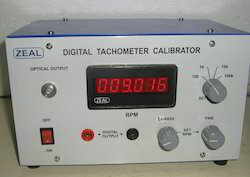 We are the manufacturer and the supplier of the Tachometer calibrator (Non-contact Type). 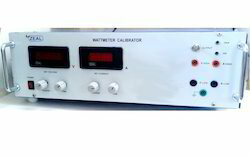 We are offering Wattmeter Calibrator. We are the Exporter and the supplier of Decade Resistance Box with various accuracies. 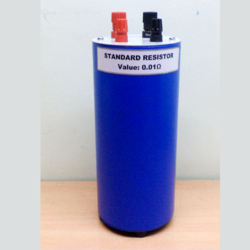 We are the Exporter and manufacturer of the Standard Resistors. Looking for Calibration Standards ?